What do we know about X-Force? Well, like Domino said, we know the name's kind of derivative. As for the movie? Well, we know a few things for sure. Drew Goddard is writing and directing, and he plans to focus on Deadpool, Cable, and Domino — three of his favorite comics characters. Beyond that, there was already plenty of stuff up in the air before the Disney-Fox merger, and now things seem so unsettled that it's tough to not worry X-Force could suffer the same harsh wind conditions that made its original lineup look like the gutter of a busy slaughterhouse. But there's no reason to lose hope just yet. No matter what Disney plans to do with our favorite merc-with-a-mouth, all signs point toward Goddard, Ryan Reynolds, and the rest giving us at least one great movie with the team that's so much cooler than the X-Men, they got two more letters. Here's a look at all the X-Force rumors and spoilers that have leaked so far. What will the movie be rated? Ask a pirate. If there's one consensus about X-Force, it's that like Deadpool and Deadpool 2, just about everyone wants it to be rated R.
Ryan Reynolds told Collider he thinks that'll be the case, but it's too soon to say with certainty. "It's all story first," Reynolds said. "I don't think anybody's thinking about the rating. I mean, my sort of wild guess would be that it would be an R-rated movie, but again, right now we're just assembling the troops to figure out what story we would tell." In February 2017 it was heavily rumored that Joe Carnahan (Smokin' Aces, Death Wish) would write the script for X-Force, which would certainly lend weight to the R rating prediction, but more recently it's been reported that director Drew Goddard is writing the script, with no mention of Carnahan. Still, even the writers not working on X-Force are sure we'll get an R rating. Deadpool 2 writer Rhett Reese told CBR that X-Force, compared to the X-Men movies, will be "raunchier," adding, "It will be rated R, I'm sure." The return of the original team? 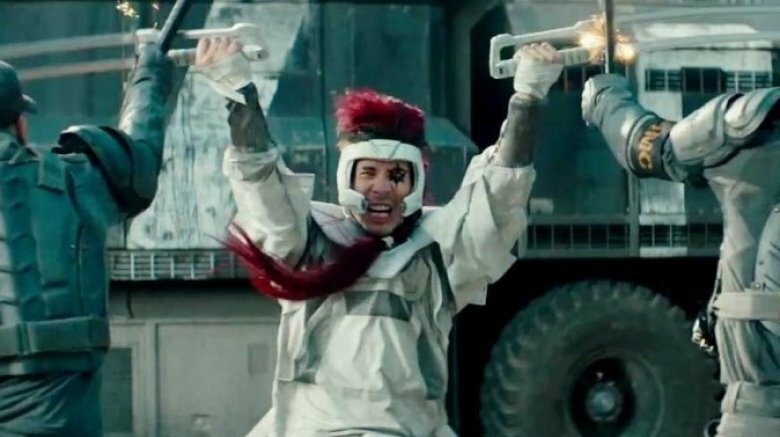 One of Deadpool 2's most hilariously unexpected scenes gave us the very messy deaths of most of the original X-Force's lineup. Most of the team quickly went the way of South Park's Kenny, and although Deadpool's post-credits time-hopping scenes brought Peter back from the dead, it didn't show Deadpool resurrecting any of the rest. But Lewis Tan, who played Shatterstar in Deadpool 2, says he will absolutely be returning for X-Force. Speaking to Syfy, Tan predicted, "You're going to see more of my character in the X-Force film … that's what it's looking like." 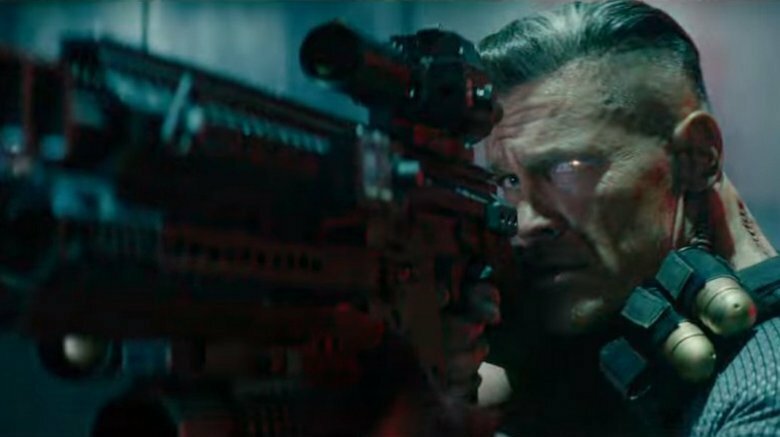 Tan added that he's received a lot great fan reaction from his death in Deadpool 2, and he hopes the rest of the original doomed lineup will be returning too. Shatterstar might have a loophole not available to the rest of the others: Deadpool 2 stayed at least partly faithful to the character's origin in the comics, where he's an alien from a planet called Mojoworld. In the comics, Mojoworld exists 100 years in the future — which means he could still be on Mojoworld, having not yet come to Earth. It also might be that while Deadpool didn't directly resurrect any of the original X-Force except Peter, he indirectly did it by going even further back and saving Vanessa, which raises the question of whether or not anything in Deadpool 2 happened at all. Not to mention Green Lantern. There's absolutely no news on who the villain will be in X-Force, how many there will be, or who will be cast. 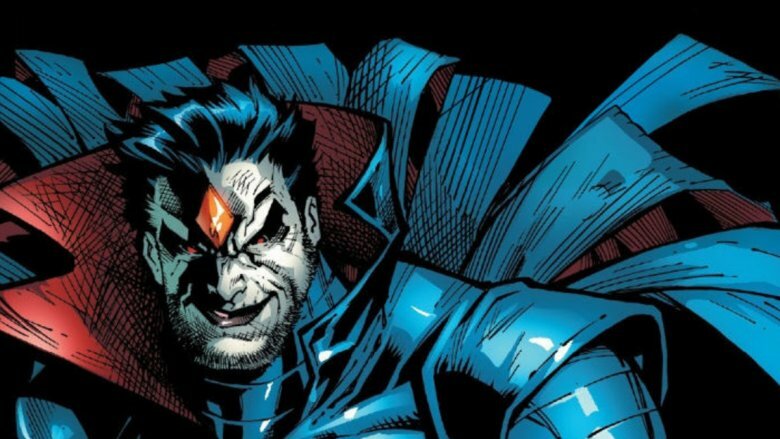 Regardless, Movieweb thinks there's a good chance the movie may introduce us to Mister Sinister, whose introduction was originally planned for Logan before director James Mangold decided to cut him because he felt such an "operatic, highly costumed" villain would hurt a movie that was trying to avoid the usual superhero spectacle. The name is the thing. In the comics, Mister Sinister's birth name is Nathaniel Essex, and that name has been popping up in the X movies. Movieweb points out that in X-Men: Apocalypse, men from something called "Essex Corp" were shown collecting Logan's blood. Essex is also the name of the school that tortured Russell and other mutant students in Deadpool 2. It's also worth noting — as we did shortly after Deadpool 2's release — that the headmaster of the Essex School is never given a proper name, referred to in the credits only as "The Headmaster." It could be that "The Headmaster" has a comeback in store. He's hit by Dopinder's cab at the end of Deadpool 2, but if he were secretly Mister Sinister, that would hardly matter. The villain counts physical regeneration among his powers, and has survived far worse. In 2015's Secret Wars #2 during a sword duel, Sinister was beheaded; he subsequently picked up his head, put it back in place, and won the duel. The Deadpool movies we've seen so far featured a Wade Wilson in a relationship with the same woman, but in the comics, his sexuality goes far beyond the heterosexual. Longtime Deadpool comic book writer Gerry Duggan says the Merc with a Mouth is "ready and willing to do anything with a pulse." He's flirted with heroes like Thor and Spider-Man in the comics, and we saw a little bit of this with Wade's fixation on Colossus in Deadpool 2. Ryan Reynolds has been clear that he wants to explore Deadpool's pansexuality. 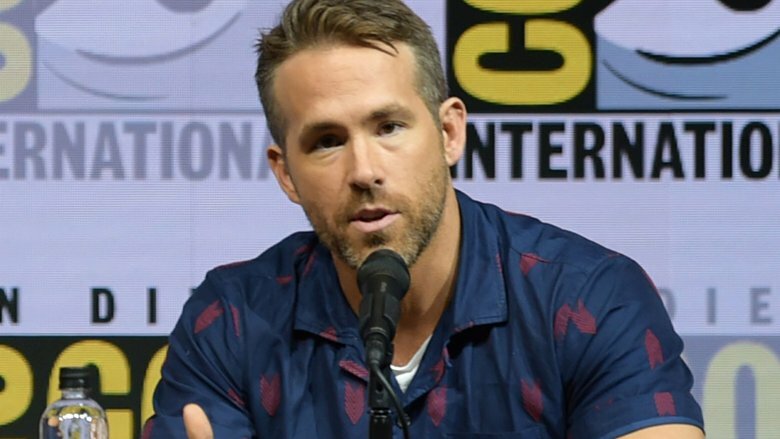 At the 2018 San Diego Comic-Con, he said one of the reasons he loves working on Deadpool is that "we're allowed to do things that other superhero movies don't necessarily do," adding that LGBTQ representation is something he wants represented more in superhero movies, specifically "through Wade." Since all the unanswered questions posed by the Disney-Fox merger mean that X-Force could very well be Reynolds' last crack at the character, it may be do-or-die time for Deadpool to prove that "anything with a pulse" really means "anything with a pulse." It's also worth speculating that an openly pansexual Deadpool could make the character more tempting for the architects of the MCU, considering their commitment to introduce more LGBTQ characters. It's a strange time to be a part of a Marvel franchise in Fox's stable, and with the Disney-Fox merger official, fans are wondering about the future of all things X. A report from the Wall Street Journal indicates Disney plans to release all finished Fox film projects — including X-Men: Dark Phoenix and New Mutants — but there's no word yet on X-Force, and ComicBook.com's Brandon Davis is speculating the film might not survive the merger. 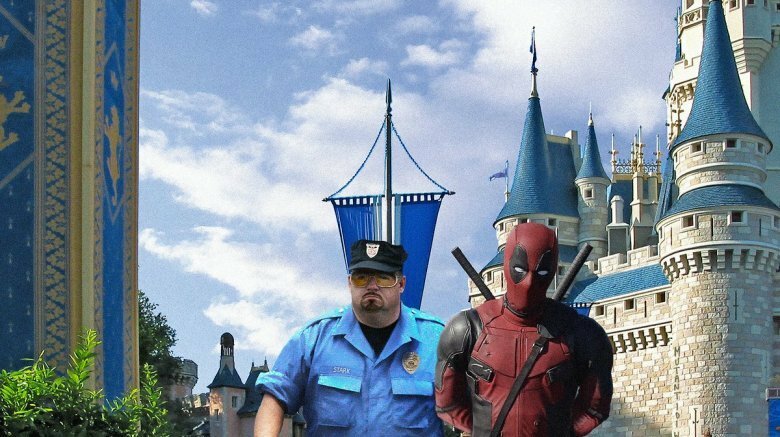 If Disney proves unwilling to be the home of R-rated superhero movies, then that would likely mean the end of the Deadpool movie franchise (an outcome that would be preferable to continuing with PG-13 imitations). If that's the case, then Disney could decide producing the already planned X-Force would be a waste of time and resources. But if Disney does decide to dip its toe in not-quite-so-family-friendly superheroics? Oh, can you imagine the beauty of the Ryan Reynolds Deadpool messing with the MCU Avengers? And if they kept the casting for the rest of X-Force consistent, just imagine Cable meeting Thanos, with Deadpool standing between them. "Hey…is anyone else seeing this?" While it may be too early to tell X-Force fans to rejoice, it's definitely too early to tell them to throw in the towel. In spite of doubts about the future of either X-Force or any future additions to Deadpool's solo franchise, including those expressed by X-Force director Drew Goddard, Ryan Reynolds has told fans everything is moving forward with both X-Force and Deadpool 3. It was during a Q&A at a special Deadpool 2 screening at Los Angeles' Zanuck Theater — as part of the film's campaign for Best Picture nomination — that Reynolds and Deadpool 2 co-writers Rhett Reese and Paul Wernick assured fans that Disney's acquisition of Fox hasn't killed the Merc with a Mouth or his teammates. It was Deadpool co-creator Rob Liefeld who reported on the Q&A via Instagram. 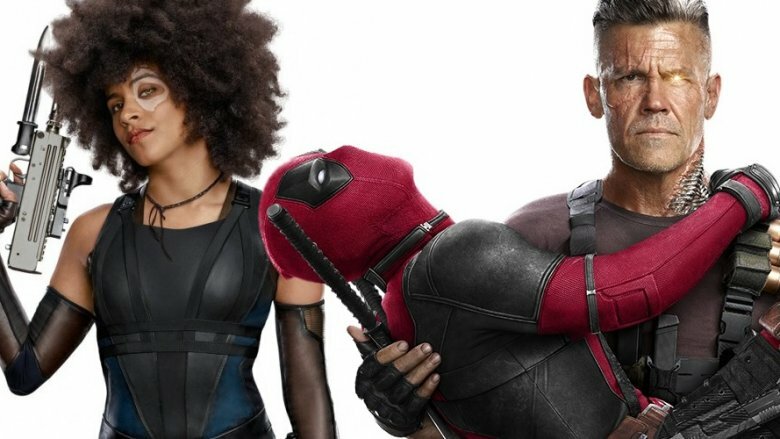 Along with Reynolds' assurance that future Deadpool installments were just as alive as Vanessa (Morena Baccarin), Liefeld's overview mentioned that Wernick pitched Reynolds an entirely new take on Deadpool 3 right before the Q&A, that Vanessa's resurrection during Deadpool 2's post-credits scenes was "hotly debated," and that one of the things planned for the post-credits that was ultimately cut was a shot of Deadpool peeing on the grave of fallen teammate Shatterstar (Lewis Tan). Considering Shatterstar himself seems to think he'll be back for X-Force, that was probably a good call.